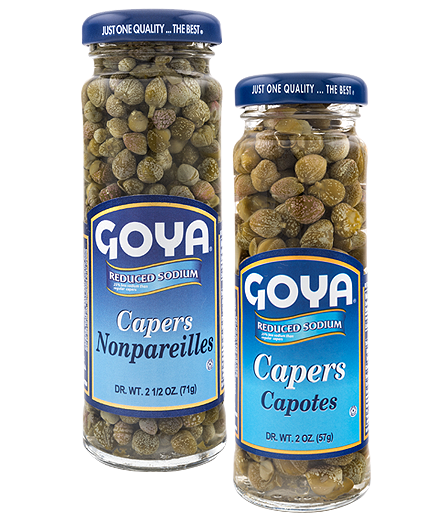 perfect condiment to use in dressings and salads, providing just the right amount of salt. 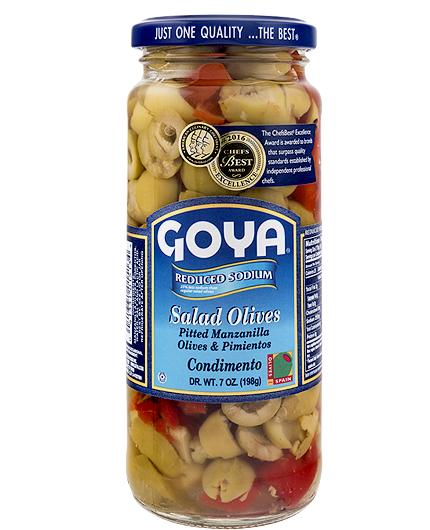 Just as with our traditional product, GOYA® Reduced Sodium Salad Olives make the ideal accompaniment when preparing pasta and cold salads. 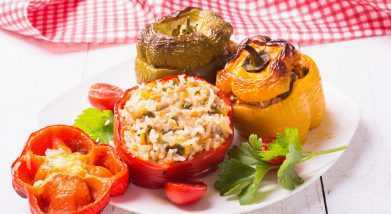 The roasted red pepper adds an extra kick of flavor to rice dishes or meat casseroles. 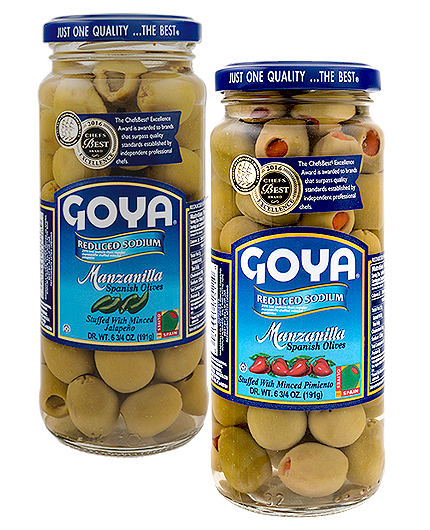 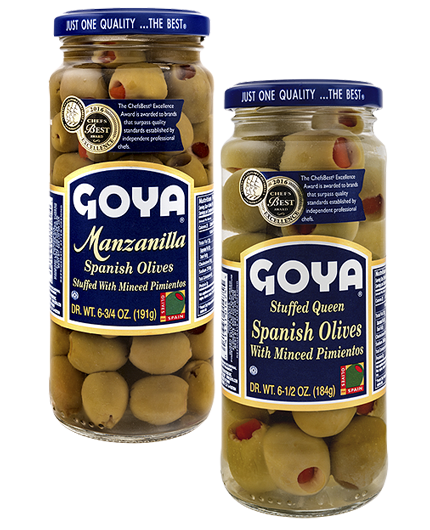 Just as with our original product, the basis for this GOYA® Reduced Sodium specialty is the Manzanilla variety olives and the natural roasted red pepper, thus giving salads and pastas a healthy flavor. 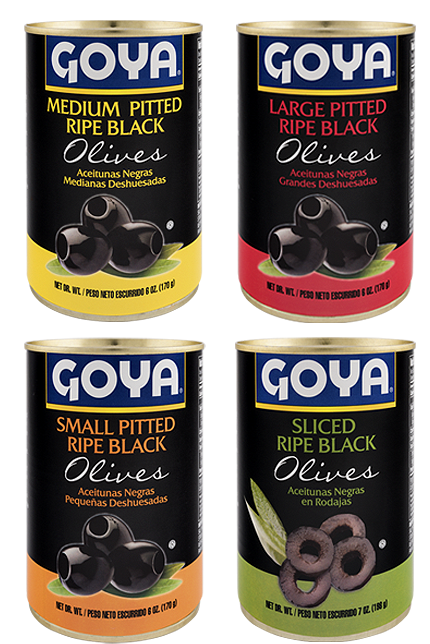 Like the products that comprise the Reduced Sodium line, the amount of sodium in GOYA® Reduced Sodium is 25% lower than the original product, which is equivalent to a 50% reduction in salt. 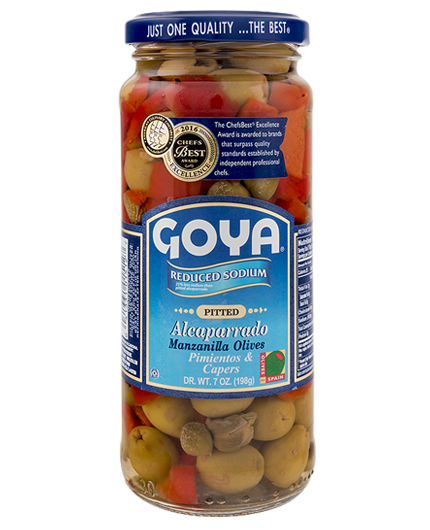 This commitment to controlling salt intake, thanks to a product that meets current regulations, is further reinforced by using the natural roasted red pepper which accompanies the GOYA® Reduced Sodium. 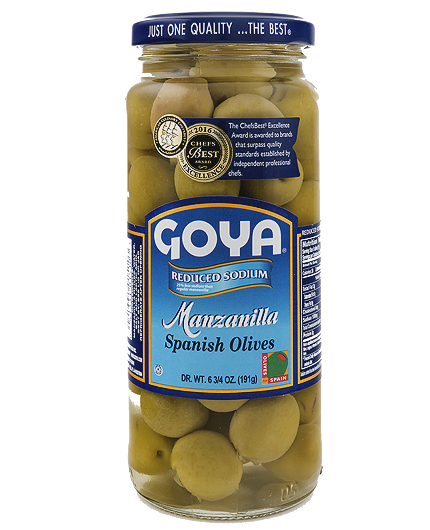 In just one portion of 15 grams of product, there are only 255 mg of sodium. 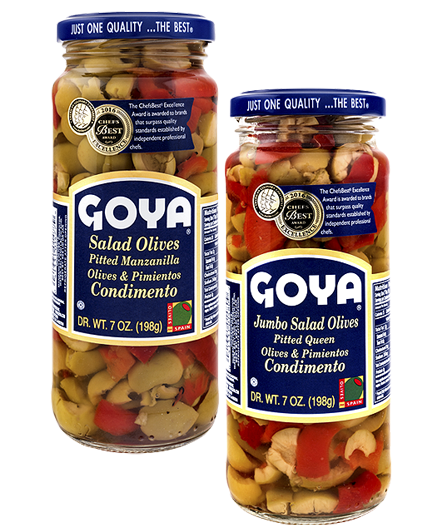 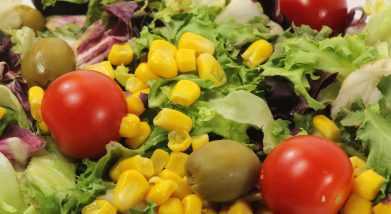 Sweet corn saladElaboration:In a bowl, add chopped lettuce, 2 cups of sweet corn, cherry tomatoes and GOYA® Reduced Sodium Salad Olives. 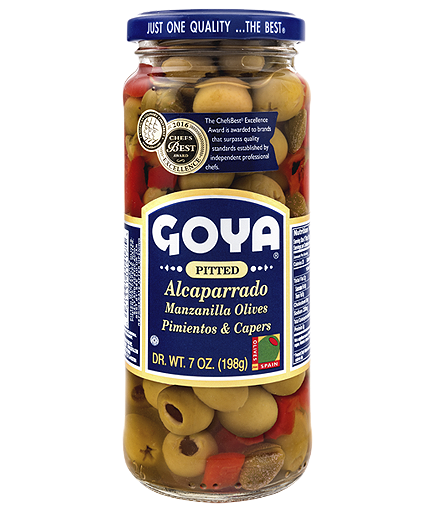 Red peppers stuffed with riceElaboration:Start with a sauté of onion, garlic, oregano and tomato, and add white wine until it evaporates. 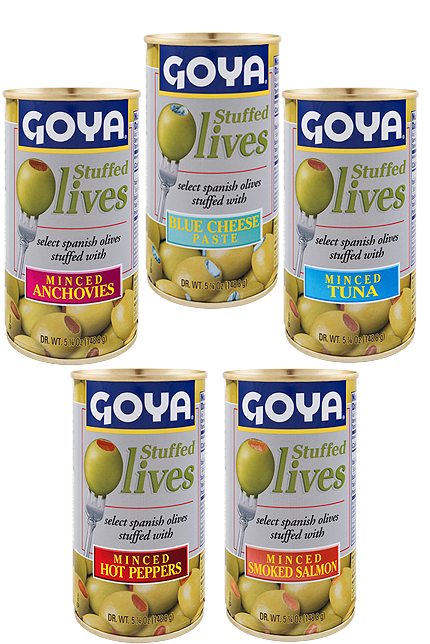 Then, mix in goat cheese. 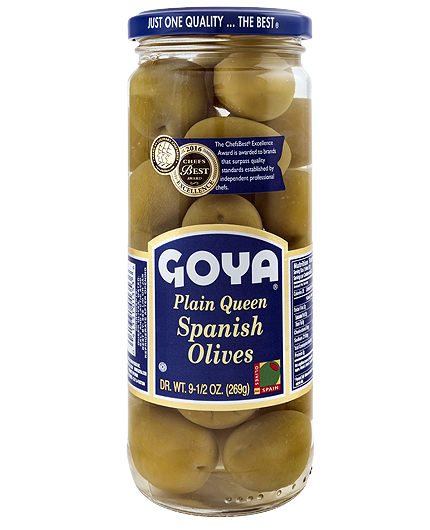 Once the cheese has melted, add GOYA® Reduced Sodium Salad Olives and cooked rice.